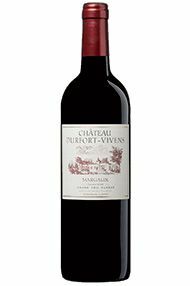 Château Durfort-Vivens has been owned by the Lurton family since 1961 when Lucien Lurton purchased it from the Gineset family. 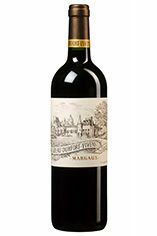 For many years this 2ème Cru Classé Margaux property was perceived as underachieving - however, the estate has undergone a mini-renaissance since Lucien`s son Gonzague took over at the helm. 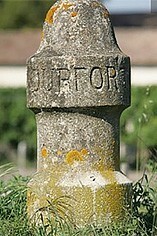 Durfort-Vivens's vineyards(Cabernet Sauvignon 65%, Merlot 20%, Cabernet Franc 15%) lie on gravelly soils interspersed with limestone. Vinification includes approximately 18 months' wood ageing, 30-50% new oak. The proportion of Cabernet Sauvignon in the final blend (82%) is the highest of any wine in the southern Médoc and gives the wine classic blackcurrant and cassis characteristics as well as notable tannins and structure. Durfort-Vivens may be approached after 5 years or so in bottle but will continue improving for up to 10 years. Proud and hard-working owner Gonzague Lurton appreciated fully this vintage, the perfect conditions meaning the winemaker's involvement was minimal and the wine's classic terroir, in the heart of the appellation, and sheer class come to the fore. The 2005 is very fresh and shows all the Margaux hallmarks of elegance and finesse with beautifully pure fruit and utterly natural with judicious use of oak. This is almost certainly the best Ch. Durfort Vivens in recent years, and in 2005 it certainly lives up to its deuxième Cru status. Exceptional value for the quality of the wine. Normally the proprietor at this estate refuses to let me taste, so I was surprised when he did so this year. The 2009 Durfort Vivens is an attractive, soft, velvety-textured wine revealing a hint of tapenade intermixed with black currant and blackberry fruit. Medium-bodied and elegant with the silkiness and precision that make this vintage so alluring, it should drink well for 15-20 years.